Until recently, vein stripping was the standard treatment for varicose veins. It is NOT our first choice to strip a vein. There are newer and more effective treatments available to deal with varicose veins. Stripping surgery for varicose veins was first described in 1850 (when Florence Nightingale was nursing). It involves an incision in the groin and stripping the large vein of the leg which is "ripped" out at knee level inside-out like a sock coming off. Unsurprisingly all patients that have stripping get a wound in the groin. Many also get pain and bruising in the thigh, causing a slow return to normal activity. Other common side effects from vein stripping surgery include haematoma, nerve damage, and less frequently wound infection. 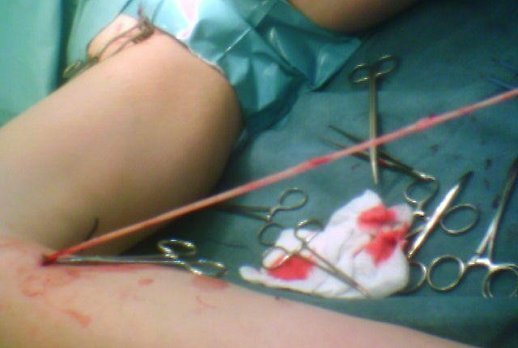 Vein stripping is an invasive procedure and may not be performed on older individuals for whom surgery poses a risk due to other medical conditions. It is also not an appropriate choice for people who have circulatory problems of the legs, skin infections or blood-clotting defects. Pregnant women are also inappropriate candidates for vein stripping. The risk of the veins growing back after 5 years is thought to lie somewhere between 50 and 80%. Even after 1 year almost 1 in 4 patients get re-growth of their veins. . 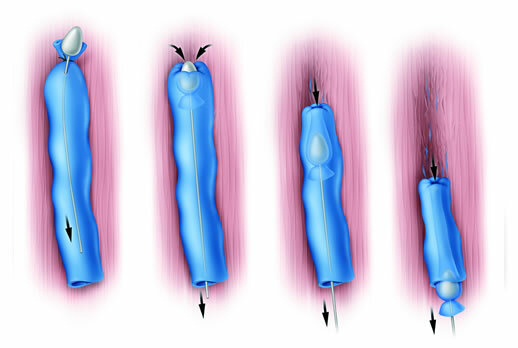 Newer techniques for dealing with varicose veins use heat from laser or microwaves to close the vein. These procedures are quick and in most cases will avoid a general anaesthetic. They are applicable to nearly all patients even those on blood-thinning treatments such as warfarin. Patients can return to normal usually within 24 hours although there may be some bruising and tightness that take approximately 2 to 3 weeks to resolve. The cosmetic outcomes are excellent with no scars visible in the majority of patients.